OUT OF THE BLUE presents a subjective and informative response to being part of the first European Television generation, and the relationship to American media. A lecture from a brown paper bag, OUT OF THE BLUE is a brief historiography of the first European TV generation. With an “other world behind the screen”, the suburban landscapes of Western Europe became the Wild West in the imagination of the children growing up with American imports. Here the lecturer reveals the concepts and symbolism that are being pursued in past works. The lecturer is never identified; however, through the content of the lecture and the context of the viewing, one can believe that this lecture is a brief historiography of Melhus and his artist process. 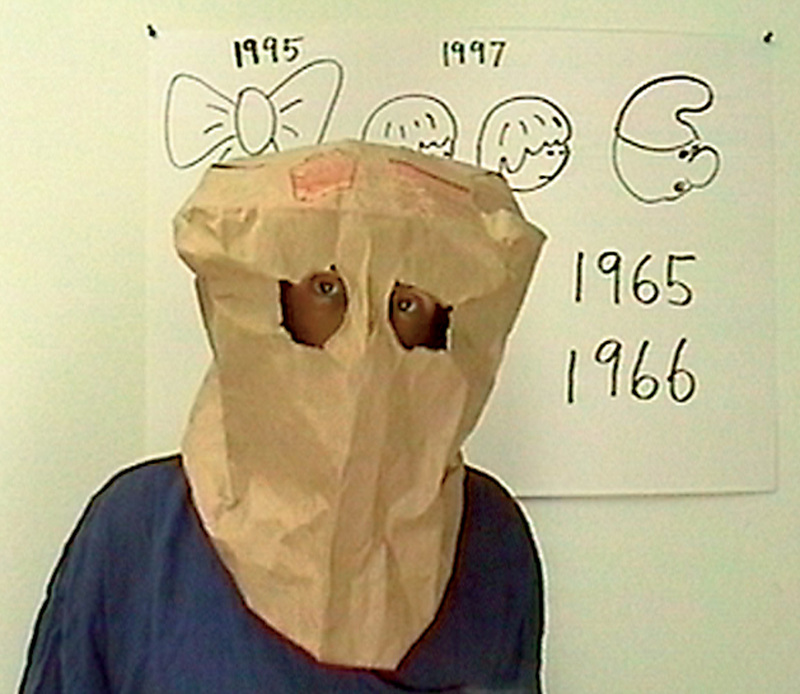 Bjørn Melhus, Out of the Blue, Video, 1997, 6:27 min.